Of anxiety, that is. The reason is because it’s March, which is the month during which all e-mails will give me a heart attack. Why? College admissions decisions are coming out. Everything that I’ve ever shed blood, sweat, and tears for has led up to this very (dreaded yet anticipated) month. I know. I know that not getting into my dream school is not the end of the world. I know that college is really what you make of it – whether it is enjoyable or a living hell. I know that I will meet some of the most amazing people from all walks of life no matter where I go. I know that I will have to jump through countless hoops on my journey to med school. I know that my roomies and I will become the best of friends. I know. But that doesn’t mean that rejection doesn’t hurt. 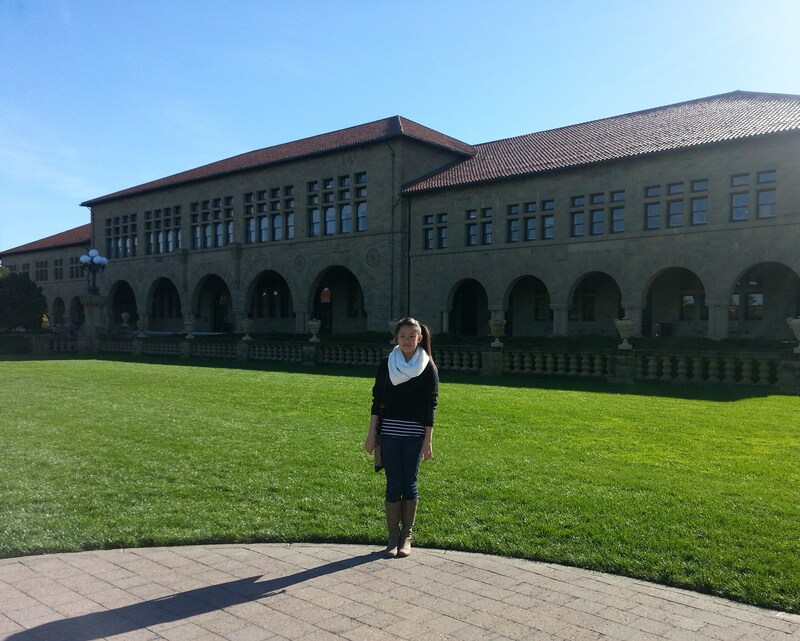 This is me in front of Stanford University in November 2012. No, Stanford is not my top choice. Yes, I did apply. So did thousands of other hopeful seniors across the globe. We’ve all worked hard to get to where we are. We’ve all stayed up into the wee hours of the night putting the finishing touches on an essay or project. We’ve all studied for hours for a test that no one will care about weeks later. We’ve all made some sort of impact on someone or some thing. And we’re all vying for so few spots. I am completely aware that not all of us are going to get accepted to the schools we applied to. It’s not possible. In a perfect world, maybe; but we don’t live in a perfect world now, do we? The time will come where May 1st comes and goes, and we will have submitted a Statement of Intent to whichever school we decided was our right home for the next four years (or 1-2, if transferring). When that time comes, we will all breathe a sigh of relief and brace ourselves for the roller coaster that is college. But until then, I can’t help but feel so down in the dumps, especially since people I know have been getting into great schools where I know they’ll be great additions to the student body. It leads me to doubt myself and my abilities. Am I not good enough? I honestly don’t know anymore. All I know now is that I feel terrible about myself. This entry was posted in Can You Relate?, What We Feel and tagged ability, acceptance, anticipation, anxiety, christinepham, college, college decisions, competition, doubt, dread, emotions, fear, hamlet, hard work, hope, human emotions, march, mystery, negativity, rejection, shakespeare, uncertainty, unknown. Bookmark the permalink.